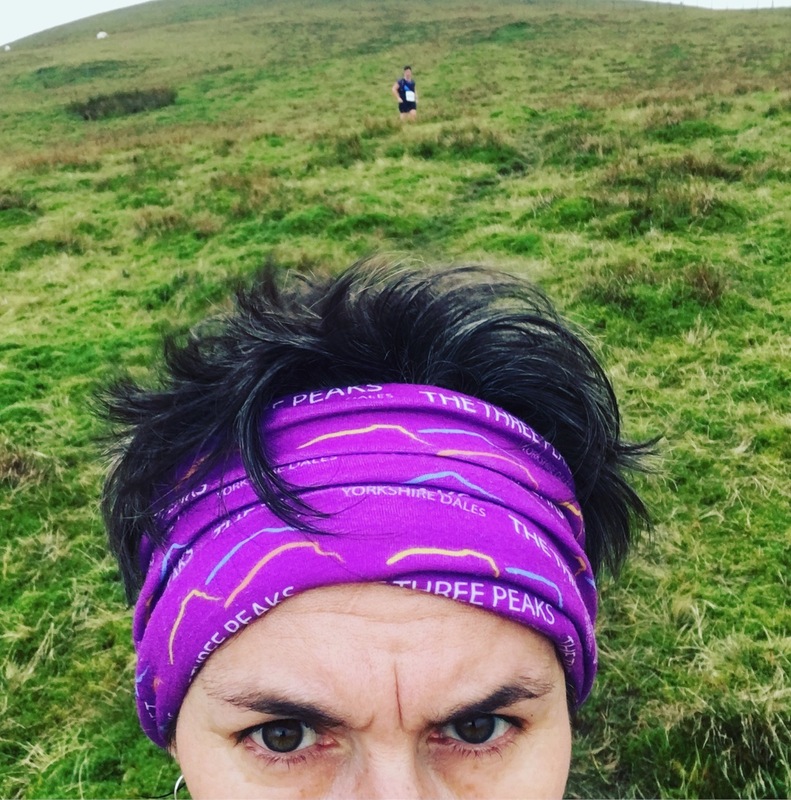 My new club, North Leeds Fell Runners, is what interior designers call “bijou.” They mean “small,” though bijou means a jewel, and I think NLFR is rather glittering, despite us having fewer than 40 members. 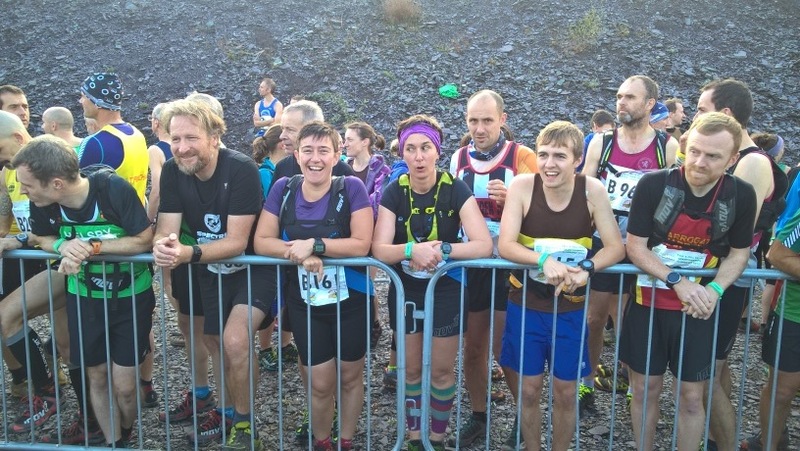 A bijou club, but we still managed to find enough people to field three teams at the British Fell Relays, when far far larger clubs only managed one or two (and some didn’t bother with any). 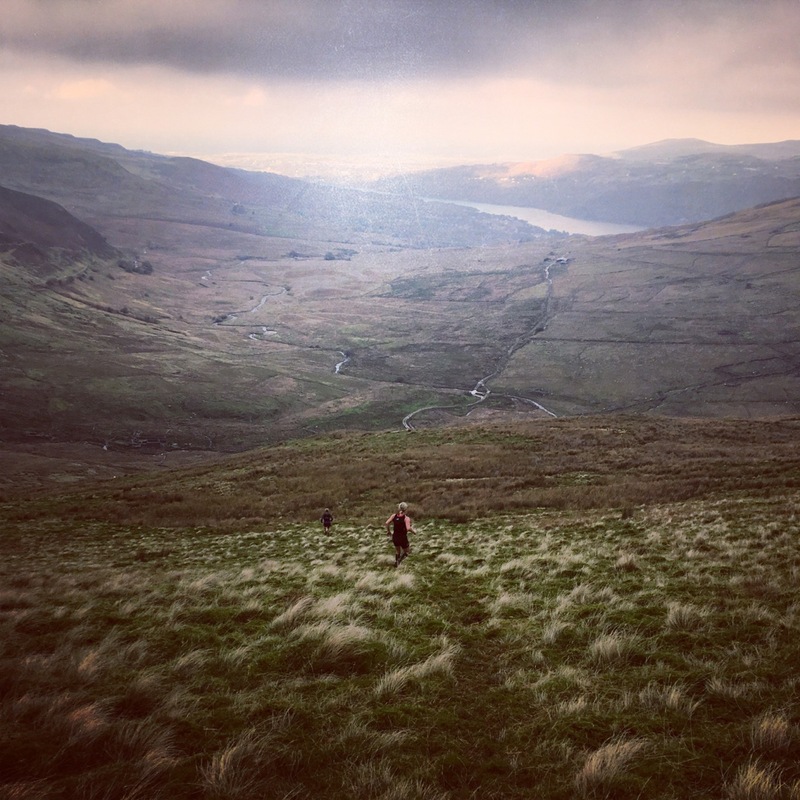 The British Fell Relays — actually it’s a British Fell Relay — is an annual event and does what it sounds like: you run a relay over fells. 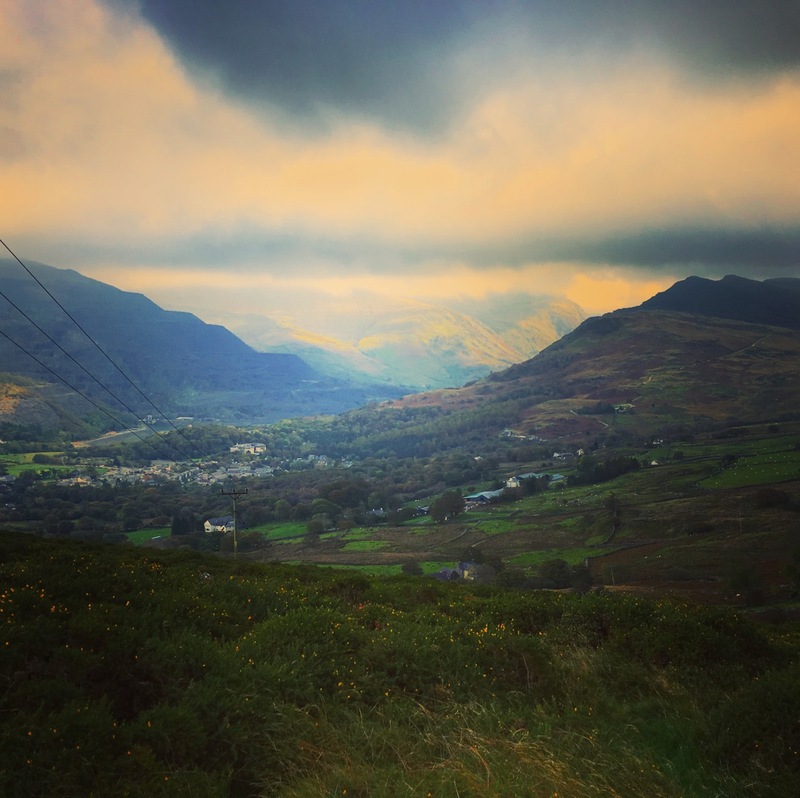 It sounds daunting, and it was, when I arrived in Llanberis, this year’s location, and found nearly 1000 runners all looking as lean as mountain goats. I think I had more body fat on one thigh than all of them put together. 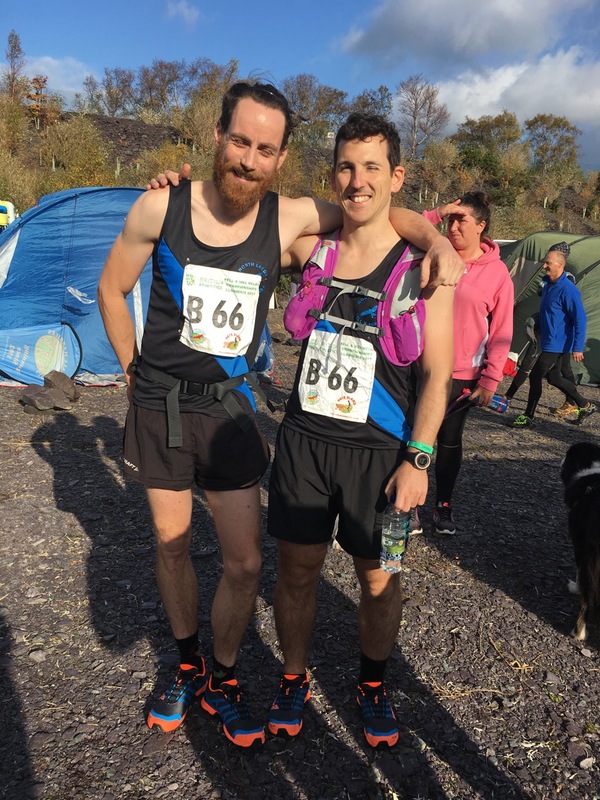 The relays were hosted by Eryri Harriers, a club based in Llanberis, and they had got the use of a slate quarry as the venue. This meant that clubs wanting to bring gazebos and tents could leave their pegs at home, and resorted to rocks. We (FRB was running for Pudsey & Bramley) drove down to Wales the day before and had an excellent walk on the beach. It was warm and sunny and weird to be doing that in late October, but I thought we may as well carry on pretending it was summer, and had an ice-cream on the cafe terrace overlooking the beach. It was a good idea to take advantage: Hurricane Ophelia was due to hit Ireland the following day, and knock-on gales would probably hit Wales. The race was probably going to be what fell runners call “a bit breezy”: 50 mile-an-hour winds. We stayed in Caernarfon, in a quiet AirBnB overlooking the river, and spent the evening wandering around and bumping into all of Wharfedale Harriers in the Black Boy pub. They were drinking beer, FRB was drinking beer, and I was drinking lime and soda: I gave up drinking alcohol a month ago to try to shed some weight. So far so good, and I see no need yet to revert. Though I am a little tired of lime and soda. Then FRB and I both selected our chosen pre-race meal: mine was chips. His was pizza. Thankfully Caernarfon town planners must have known this by siting the pizza place over the road from the chippy. The planners had also decided to screen a film on the side of the castle, which was an idea better in conception than execution, as it consisted of a film that you couldn’t quite see because of the bricks, and you couldn’t hear. So the evening’s entertainment was not the film but the sight of many baffled people screwing up their eyes and looking dissatisfied. I ran down and found the orthotics, which don’t quite fit my fell shoes but never mind, then ran back up. Of course we still had about half an hour to spare before Ann finished Leg 1. Meanwhile my club-mates had gone to Pete Bland and decided not only to buy new shoes but to run in them.This breaks a cardinal rule of sensible running: never break anything in on a race that you haven’t tried out before. To wait for Ann to get back, we had to enter the waiting pen, then be herded across the race finish line and wait on the other side. FRB wasn’t going to be running for at least three hours, probably, so he had time to act as Director of Photography. “Look nervous!” I don’t think Jenny heard him, but I did. I knew Ann was a very good runner, but I was really surprised to see Rachel and Karen of P&B, both extraordinarily fast, still waiting, and waiting, as Leg 1 runners got in, touched their Leg 2 pair, and the Leg 2 pair set off. While a dwindling group waited behind. 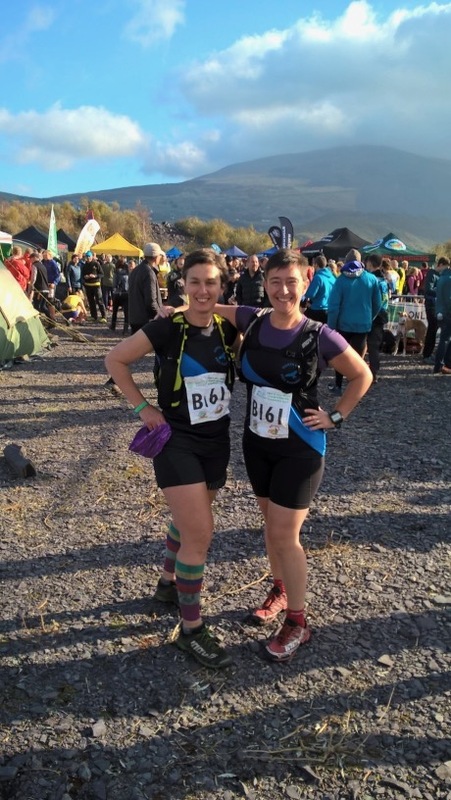 In fact both Ann and P&B’s Leg 1 runner (who, it turns out, is not too good with technical terrain or water, both somewhat of an obstacle on this race) arrived at the same time, so Jenny and I set off up the quarry with Rachel and Karen, which would normally never happen. They of course promptly zoomed off and overtook about 15 pairs. We, on the other hand, were constantly overtaken. I did set off with some ego, while knowing my limits, and this bothered me at first, but eventually I developed an armour and got over myself. 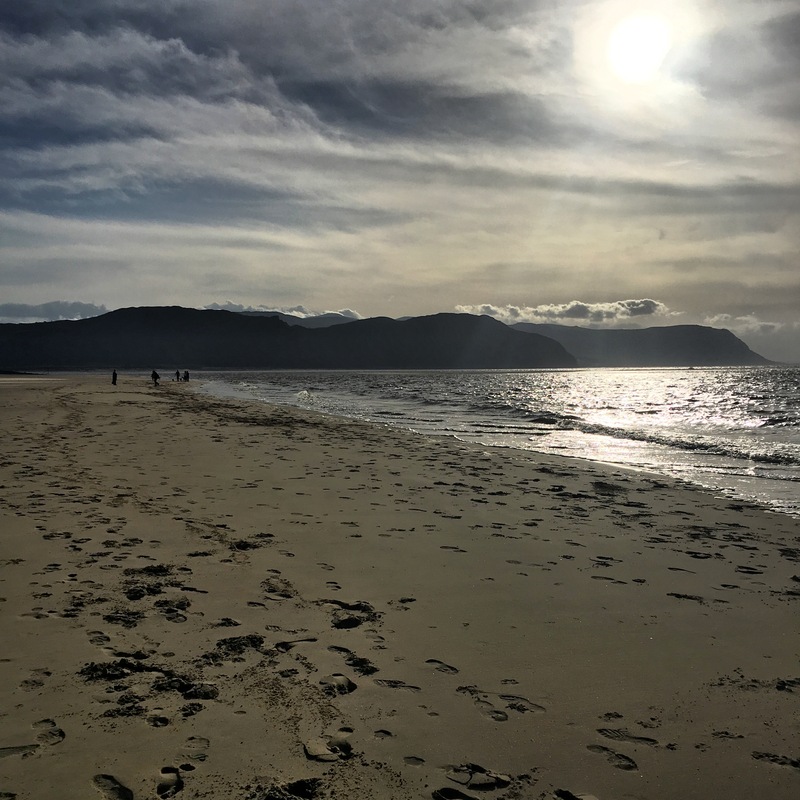 I knew Jenny’s fitness was not optimal, and so the fact that she was attempting this at all, and — it seemed for the first couple of miles — giving it her very best, was good enough for me. I’m not saying I would have gone zooming off. Of course I wouldn’t. I only wish I could zoom. But anyway all these thoughts were pointless. We would do as well as we could. The weather was perfectly fine, until we started climbing. We knew we had 900 metres of climb coming in the first six miles. That is tough. The only option: head down and keep going. By the time we did the first climb, the winds were howling on the tops. I was blown into a fence. At one point the wind was so loud and ridiculously strong, I stopped and screamed at it. If you can’t howl at the wind now and then, what’s the point of fell running? Jenny was keeping up really well. The route was pretty clear. We had been told it was marshalled and flagged and so far we had seen tape (which is what “flagged” can mean) and marshals so so far so good. Onwards, upwards, and into weather that deserved a capital W. But we persevered. Finally came a glorious descent, and we made our first mistake. 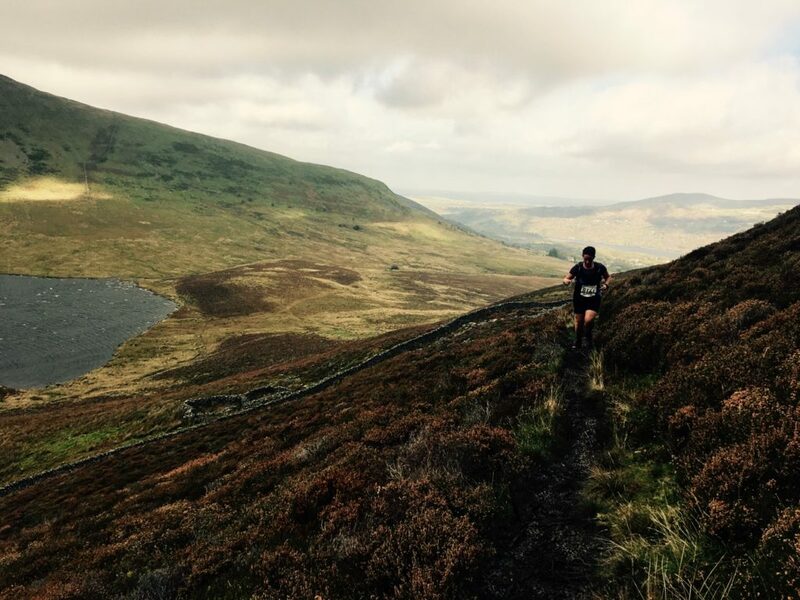 A golden rule of fell running: Never believe what a stranger tells you. Early on on the descent, the flags — and marshals — disappeared. I had no idea which way to go, apart from down. At this point, I should have got out my map, but I was so excited by not climbing, I didn’t. A walker said, “the others have gone that way” and pointed straight down. I launched into a descent, taking a mostly vertical line down, and got to a field gate at the bottom. Jenny’s descending is slower than mine, so I had time for both a picture and a toilet stop. This is not a picture of the toilet stop. When she reached me, we looked around for a flag or runners and saw neither. I got my map out and it was no clearer. Finally we realised we should have descended diagonally and were about 300 metres further along the hill than we should have been. Reverse, regroup, find the stile, and we were fine again. A mile or so of track, then we passed a checkpoint that I was about to dib at when they said, no, this isn’t yours. We had done four checkpoints by then and I knew there were five. The rules of the relay are that you must dib at your leg’s checkpoints, in order. We kept going, now with tired legs, amongst rather beautiful views. My good mood had thoroughly disappeared, especially when one of our descents was through rocky waist-high bracken. Eventually we decided to dib at the checkpoint, and the dibber beeped as it was supposed to, and we set off down the hill again. There were about three other pairs, all women, and we sort of followed each other, and that was yet another mistake. None of us had any clue where the route had gone, but it certainly wasn’t the way we took, which was via massive rocky outcrops, a sheer drop into a quarry and a sign marked DANGER DO NOT ENTER, copses full of brambles and nettles. All this time we knew where the finish was, but there seemed to be endless obstacles in the way. It definitely wasn’t the right way but at this point we all just wanted to finish. I was frustrated and furious and embarrassed. Eventually, after climbing walls and barbed wire and going through nettles, we found a track down that ended up on the road we’d started on. We ran up it and met the race route at the corner above the quarry. There were some surprised looks. By this point I wasn’t sure we’d got the right checkpoint but I didn’t care. Back, and down the finish funnel, and into the tent where we explained, roughly, what we’d done, and realised that we’d got the wrong checkpoint. All Leg B checkpoints were manned, and the one on the cairn wasn’t. So that was that. We were certain to be disqualified. Ben Mounsey came up and asked how we’d done and when I explained, he was all sympathy. He said, it can happen to anyone. He said that because he is nice, and because it is true. But in this case it happened to anyone who gets distracted by runners who are not running the same leg and turns off the right race route. Those runners we’d seen going up the hill had been Leg 3 runners, and if we had only carried on on the track, we would have quickly come to our manned Checkpoint 5. 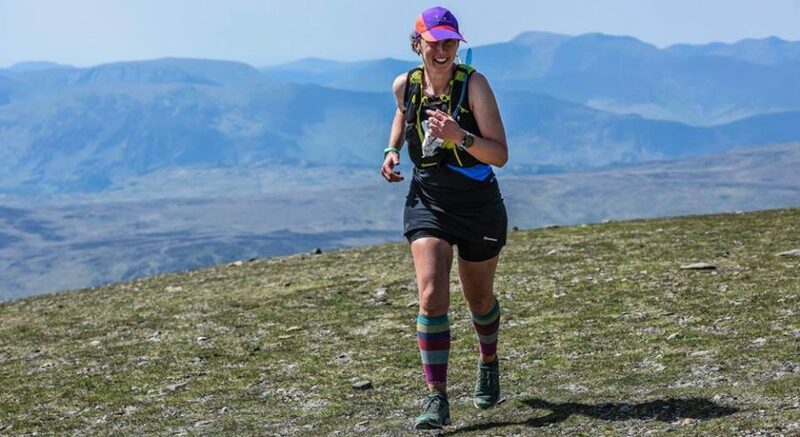 I wasn’t in the best of moods, and once I’d changed and cleaned up in the fell-runners’ changing room — a Portaloo — my mood wasn’t improved by the fact that no-one at our table could locate our club’s hot food vouchers. I went up to the food table and showed my race bib and explained, but got nowhere. This was the conversation, more or less. I will be fair to the woman: she was probably temporary staff on a minimum wage and worried about her job. But it was not the best encounter I could have had. So I comforted myself with a bag full of Quorn sausages, which I’d taken in my race pack and not eaten, not even at the worst moments, and hot tea. And we weren’t disqualified. I still don’t know why. Maybe it was because we obviously gained no advantage by using the wrong checkpoint and taking an hour more to get back, and we did dib at a fifth checkpoint, it just wasn’t ours. I’m grateful. There were other disqualifications, so it wasn’t because they didn’t notice. What did I learn? 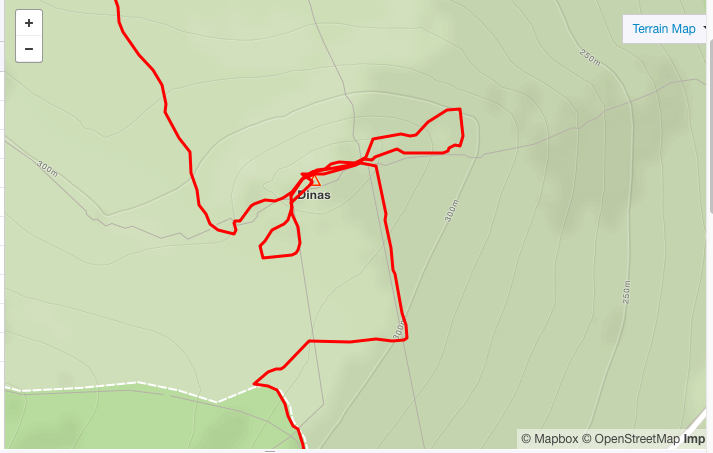 That if I see other runners tramping up a hill, I should check my route map. We were so stupidly close and so stupid to veer off the route. But tired brains and legs warped our thinking. I learned that “fully marshalled and flagged” has a wide and elastic meaning, and that I should never rely on that. I have signed up to do an FRA navigation course, and I’ll be back to do the relays, but next time with insoles in my shoes, my map held in my hand all the way round, and a hot food voucher tattooed to my back. Fabulous account Rose! Ironically, I had exactly the same conversation with the lady serving food. I shared your pain and frustration! Don’t forget to pop in the camper for a cuppa at the next fell race. Thanks Ben and yes definitely to the cuppa. Great write up. Well done on what sounds like a tough race (especially the no food bit). Thanks Aidan. I did have some food. Some gels, I think, and a chocolate bar. I just didn’t have my entire usual picnic.